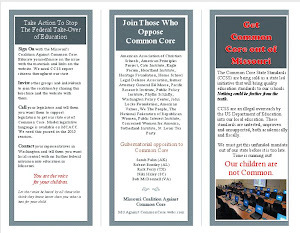 We are a group of parents and taxpayers concerned about the federal encroachment in our Missouri schools. We have been fortunate so far not to have been selected to receive "Race to the Top" funding from the Department of Education. This award mandates how states operate their educational curriculum and staffing, taking control away from local school districts and states, giving these decisions to the Federal Government. We contend it is unconstitutional as the Federal Government was never given the authority to control and determine education of its citizenry. We also are opposed to Race to the Top as it is an unfunded mandate. It was projected to cost $390 Million to implement the mandates set forth by the Federal Government. The amount we could hope to receive was $150-250 Million. We cannot afford further debt. We cannot afford higher taxes to fund a mandated program which circumvents the legislature and taxpayer approval. We invite YOU to become a watchdog for your school and/or district. We need your ears and eyes to let us know what is happening in YOUR part of the state. 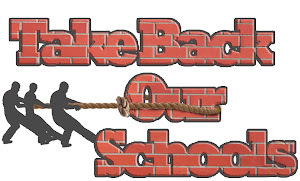 We want to know your concerns about curriculum, taxpayer expenditures, "politically correct" teachings, etc. Perhaps you can attend your school board meetings and report on what is happening in your district. We also would like to know what IS working in your district! Perhaps we can take ideas back to our own respective districts for them to consider. If you are interested in becoming a watchdog, please contact me at stlgretchen at gmail dot com with your name, your school district, county and town. We will be posting a list of districts as they are "taken" by a watchdog. We can have more than one watchdog in each district, so if you want to report, we'd love to have your input! Please check back often to the site for updates. 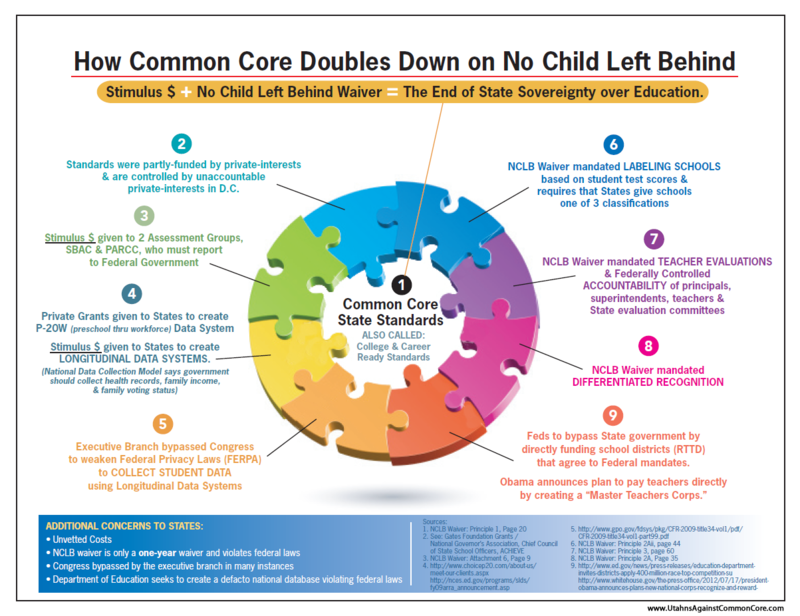 We will have information concerning the current threat to our state educational sovereignty; the push for Missouri to adopt "Common Core Standards". We need to assert our state right to determine the educational teachings for Missouri children and tell our Commissioner of Education we do not want federal infringement on those rights. Thanks for visiting THE MISSOURI EDUCATION WATCHDOG. Thanks Gretchen! This looks great guys! A site for sore eyes, Thanks Gretchen!